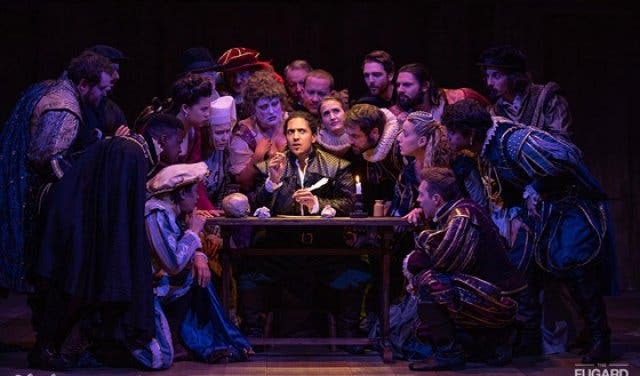 If you missed the award-winning South African production of Shakespeare In Love the last time it was performed live at the Fugard Theatre, here’s your chance to catch it. This enchanting romantic comedic production, which was a runaway success last year, returns to the stage due to overwhelming demand. Presented by film, television and theatre producer Eric Abraham and the Fugard Theatre, the show (which played to sold-out houses in 2017) has received critical acclaim from reviewers and theatre-goers alike. 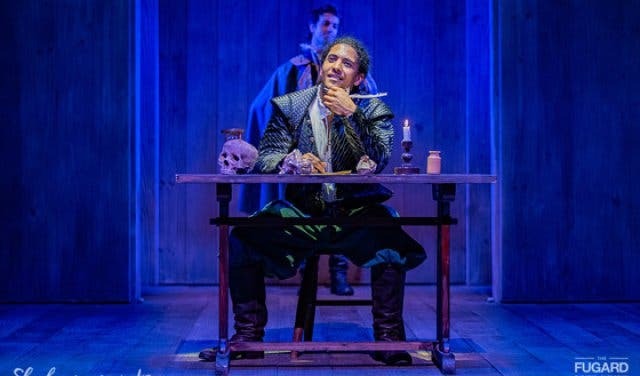 ‘FIVE STARS… Superlative theatre’, ‘Shakespeare in Love captivates … romantic, dramatic, comedic, exaggerated fun … a fun night out at the theatre’ are just some of the rave reviews this much-loved production has received. 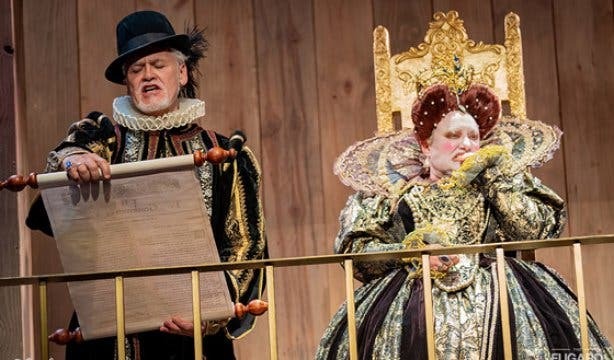 The comedy, written by Lee Hall and adapted from the Academy Award-winning (1999) screenplay by Tom Stoppard and Marc Norman, ran for an extended sold-out season at the West End’s Noel Coward Theatre in London in 2014. Theatre-buffs and entertainment-lovers will be pleased to know that a line-up of impressive performers will be owning the various roles in this exciting performance. Multiple award-winning actress Robyn Scott (London Road, Elizabeth 1- Almost By Chance a Woman) stars as Queen Elizabeth, Daniel Mpilo Richards who played Bernardo the leader of the Sharks in the Fugard Theatre’s West Side Story (also Aunty Merle the Musical, State Fracture, Pay Back the Curry) steps into the role of William Shakespeare and Jason K. Ralph (The Phantom of the Opera (World Tour), Chicago) plays Lord Wessex, to name just a few. The production also stars CapeTalk’s John Maytham as Fennyman, Armand Aucamp as Marlowe and Roxane Hayward as the lead, Viola de Lesseps. 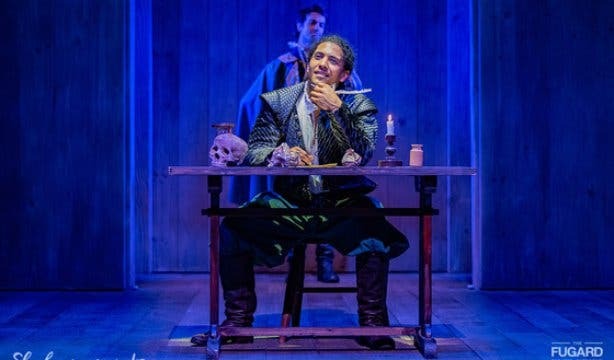 The story follows a young William Shakespeare who is suffering from writer's block and facing a looming deadline for his new play. In desperate need for inspiration, he finds it in the form of Viola. This beautiful young woman is Will’s biggest admirer and will stop at nothing (including breaking the law) to star in his next play. Don’t miss this incredible production of one of the most romantic and captivating stories of all time. Tickets are available online via Computicket.co.za and range from R150/p to R350/p. Most stagings start at 8pm, with some matinee performances starting at 4pm. For more information, contact the Fugard Theatre box office on +27 (0)21 461 4554 or visit the Fugard Theatre website. 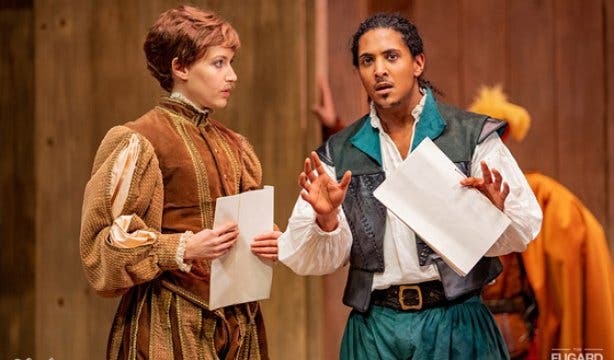 See how the unique power of Shakespeare unites children from diverse backgrounds at the Shakespeare School Festival. Love a good show? Discover the best theatres in Cape Town. Enjoy the best of both worlds with these dinner theatre experiences. Local live music is lekker, explore the hottest live music venues in Cape Town.